For measurements to work, you need to have a standard of measure, and to have a standard of measure, you need to get organized. How do you organize marketing? Sure, you can identify SEO key works, set up shared campaign calendars or developing a filing system for your content, and Marketing Automation tools like HubSpot do a great job of keeping everything together in one place, but organization is more than that. It’s about systematically arranging things around a clear purpose. So, how do you do organize your marketing programs for measuring meaningful growth? You do it by improving your visibility into what is really important – the entire lifecycle of your customer relationships and measuring results in terms of Sales Revenue. This is what Customer Relationship Management (CRM) systems of are for. Ultimately, your Marketing effectiveness is measured in things like more Opportunities or Deals in your Sales Pipeline, more new Customer Accounts, or more Sales Revenue for the month. These are sales-driven metrics that really matter and that means you’ll need to be able to measure your progress toward these goals along the entire lifecycle of a prospect or customer relationship. First, you’ll need to start with selecting the right CRM for your needs. SalesForce is the leading CRM in the Market today, but it is expensive and can be overwhelming to set up and administer for smaller companies. Is HubSpot CRM a viable alternative for you? We’ll walk you through the pros and cons of each CRM. Second, how do you map your customer’s buying journey across the inherent silo between Marketing and Sales? The road to becoming a customer isn’t a straight line and Marketing typically looks at the universe differently that Sales. We’ll help you map your customer’s journey across both teams in a way that keeps you aligned and working together. Third, if you do choose HubSpot Marketing and SalesForce CRM, how can you integrate them so that they can work together better? If any of the questions I’ve mentioned here are on your mind, I’ll be happy to discuss them with you. 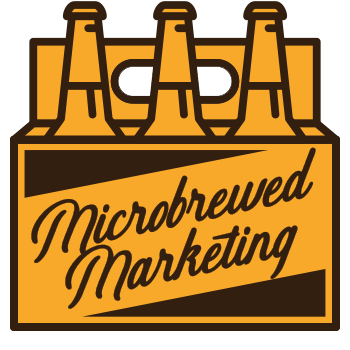 Better yet, consider bringing your team to one of our Microbrewed Marketing Workshops. We’ll give you some actionable insights on ways to configure your data synchronization so that your reporting accurately reflects what is happening and you can better plan your marketing, lead generation, workflows, and sales enablement.